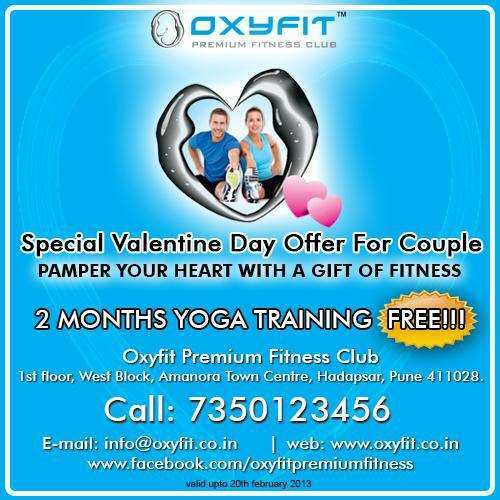 Special Valentines Day offer for couples at Oxyfit Premium Fitness Club Amanora Town Centre Hadapsar Pune. Call 7350123456 for more details or visit http://www.oxyfit.co.in/. Valid until 20 February 2013.